This supremely luxurious project featured the construction of a private indoor swimming pool with steam room, gymnasium, games room, wine cellar and kitchen / utility room and out buildings for garages, stables and a ménage. The sloping site made for an interesting construction with a waterproof reinforced concrete shell to house the swimming pool within a cut and fill excavation. 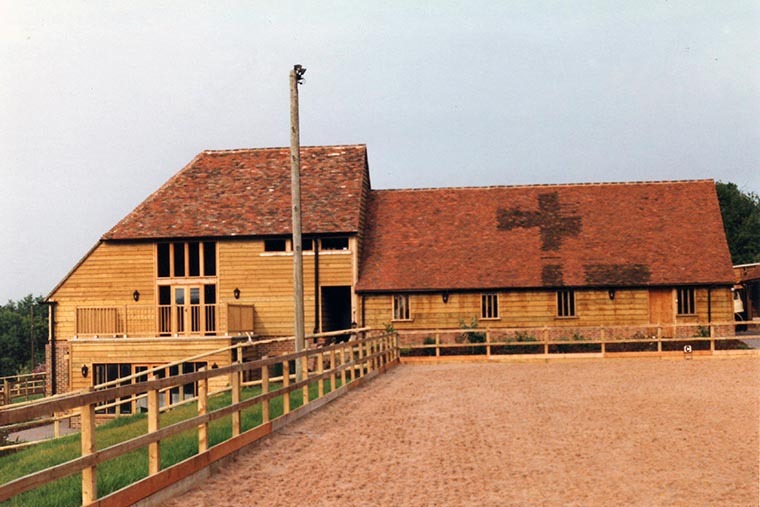 The superstructure boasted a green oak frame, handmade facing bricks and peg roofing tiles and was joyfully brought together with fine expert craftsmanship.